Miner Bees were @SpeciesofUK from 17th to 23rd March, 2014. ‘Miner bees’ or ‘sand bees’ make up the genus Andrena. There are over 1,300 species worldwide of which around sixty live in the UK, making it one of the largest bee genera. Miner bees get their name from their habit of digging nest burrows in sandy soil, in which their prepupae spend the winter. 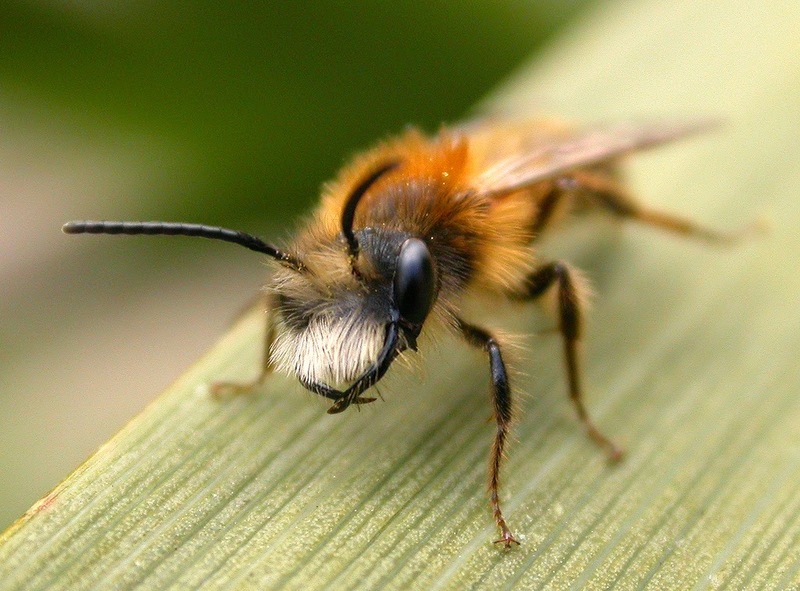 One of our most common miner bees is the ‘tawny miner bee,’ Andrena fulva. 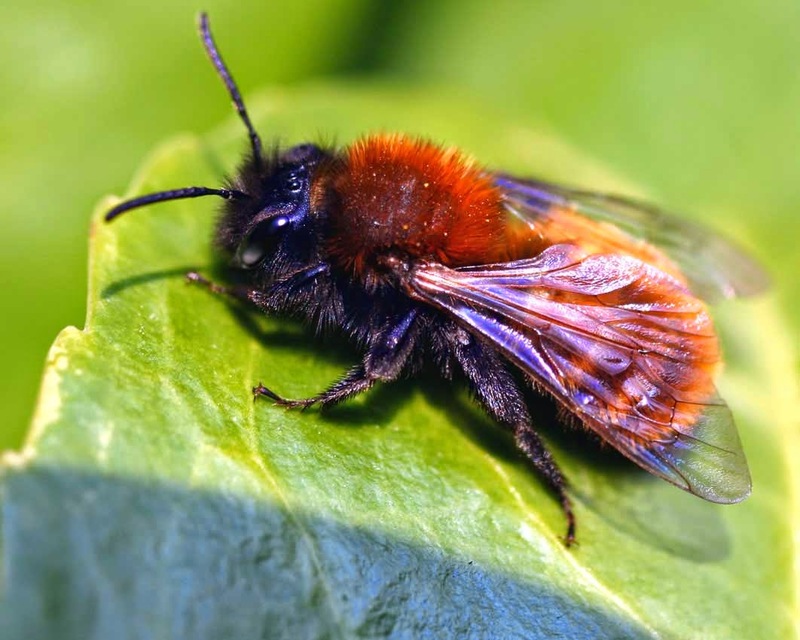 The tawny miner bee is found across most of Europe, as far south and east as the Balkans. It likes light woodland or dry grassland, with sandy soil for its nests. Grassy parks and gardens suit it down to the ground. 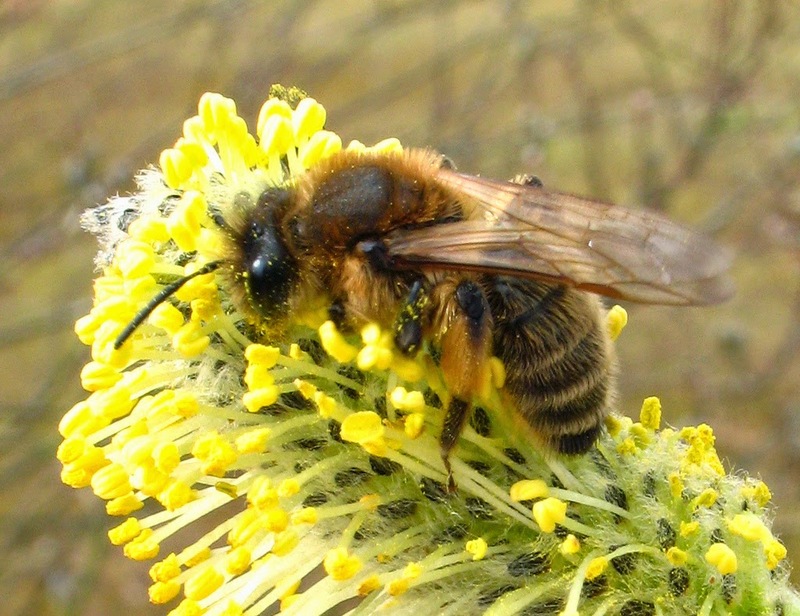 In March, tawny miner bees will emerge and visit any flower that's available. By May, they have become the key pollinators for many current bushes and fruit trees. The female tawny miner bee is very colourful. Her thorax is covered in rich russet hair and abdomen banded in burnt orange. 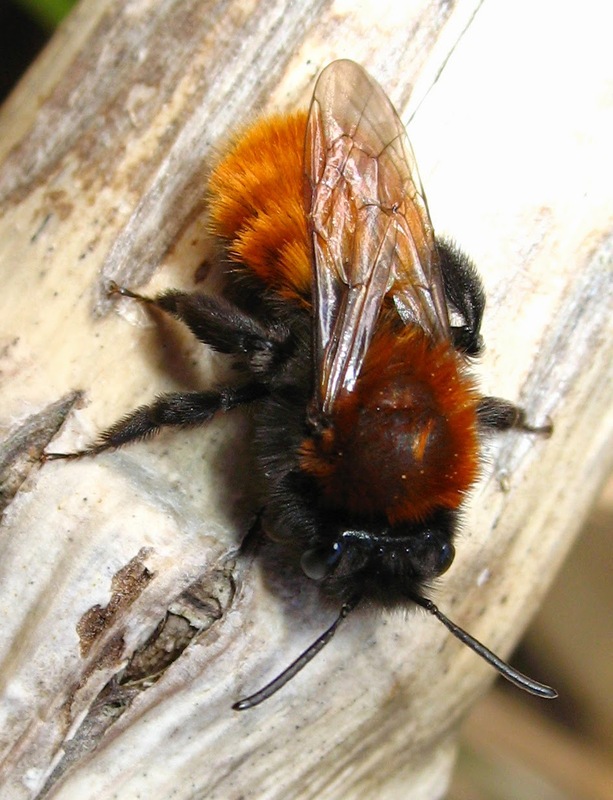 Male tawny miner bees are less bright and are more tawny in colour. They have a paler abdomen, white hair on the face and are smaller and slimmer. 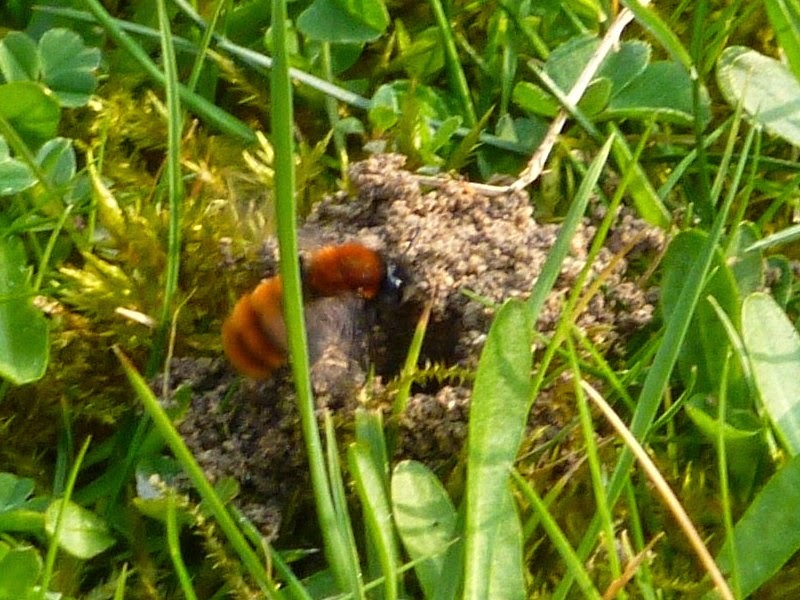 Male tawny miner bees play no part in nest building or providing for their offspring. All the hard work is done by the female. 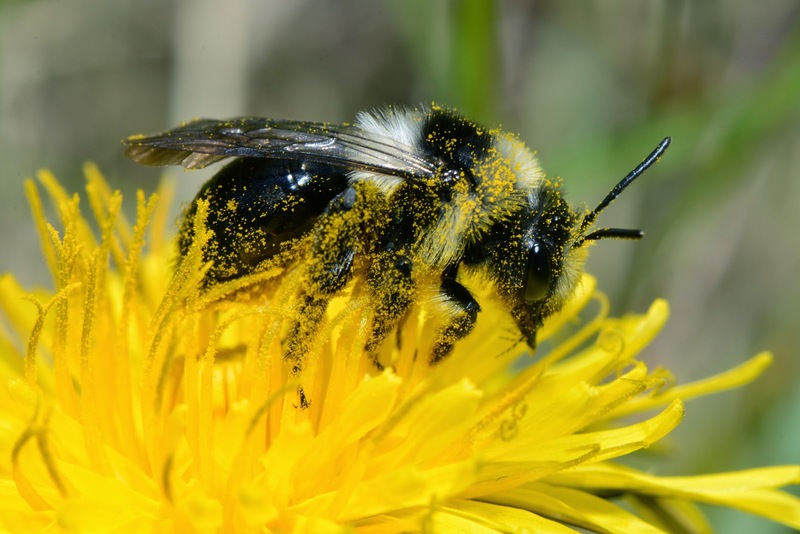 She works on her own to build a nest and collect pollen for the young to feed on. 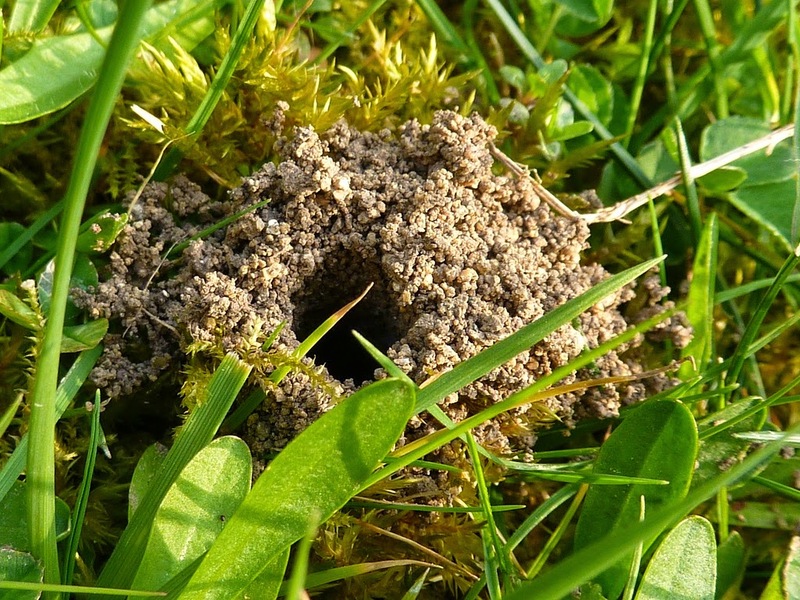 The tawny miner bee nest or 'mine' will be in areas of sandy soil and on the surface looks like a volcano-shaped mound of excavated material with a pencil-sized hole in the middle. 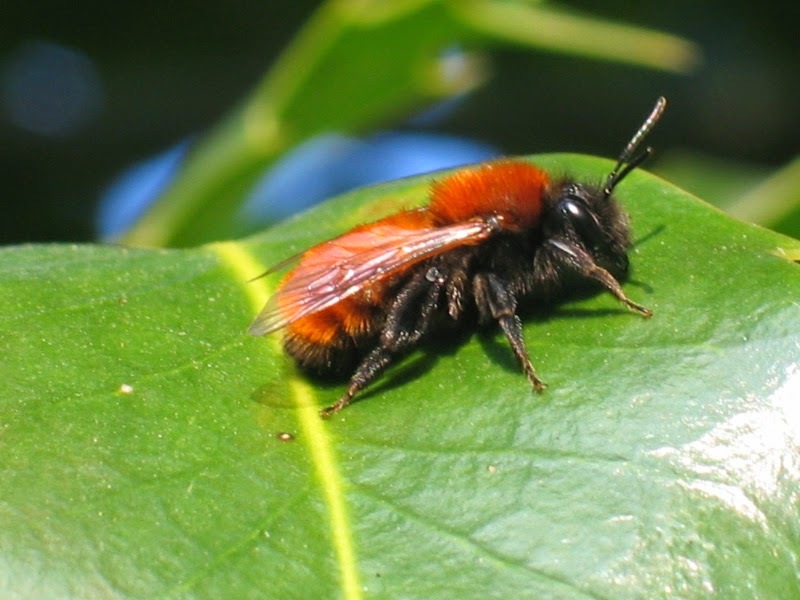 Tawny miner bees are solitary and rarely form colonies. However, their nests can be in close proximity. There can be hundreds of nests within a few metres of each other. Inside, the tawny miner bee nest is a 20-30cm vertical shaft with brood cells each filled with one egg in a nectar and pollen mixture branching off it. Female tawny miner bees solidify the nest entrance with a fluid while they're laying the eggs. When they're finished, they plug it shut completely. Tawny miner bee larvae hatch after a few days and grow quickly, pupating in a few weeks. After hibernating in the nest through winter, adults emerge in the spring. 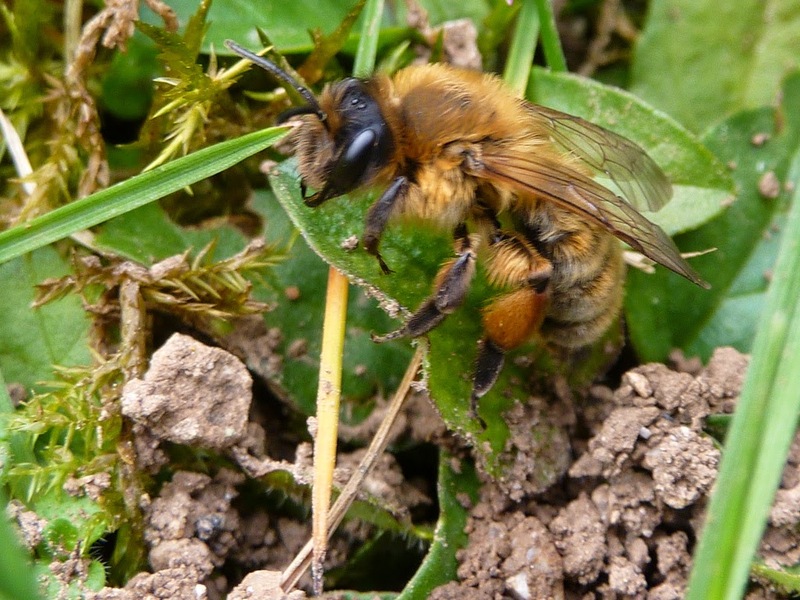 Another miner bee found in the UK is Andrena nigroaenea. 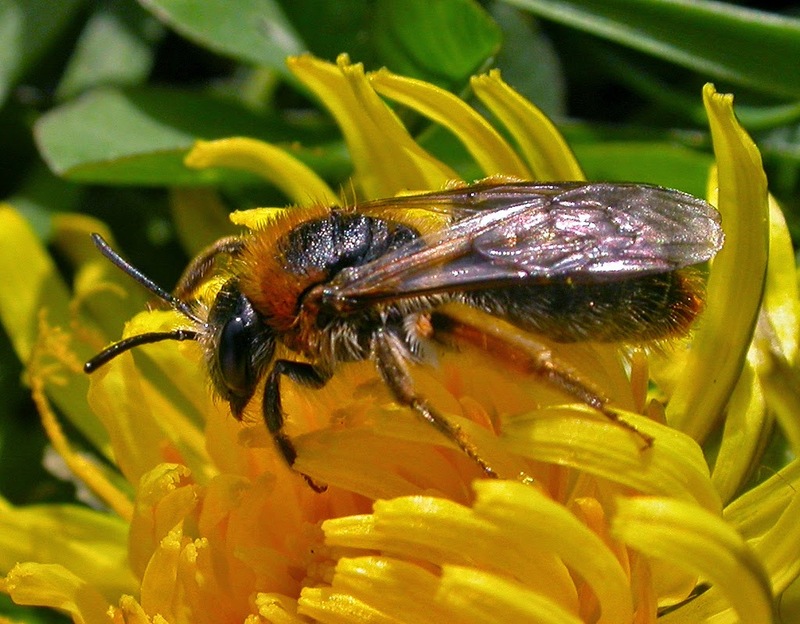 A. nigroaenea are solitary ground nesting bees like the tawny miner bee, but less common. They're also rather plump in appearance. The female A. nigroaenea emits a very strong pheromone to attract males. Once she’s been inseminated, she then emits a different pheremone, which deters the males! 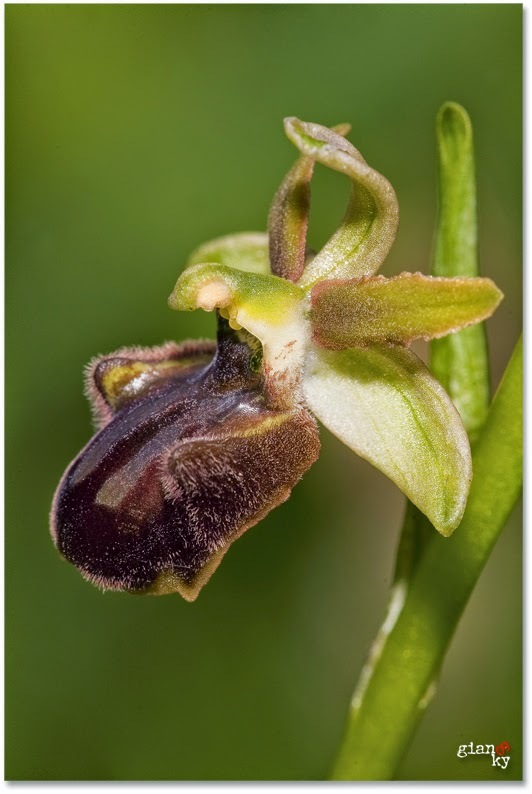 Interestingly, there’s an orchid called the early spider orchid (quite rare in the UK) that emits a pheromone identical to that of A. nigroaenea females. The males can’t resist it and therefore visit the plants, pollinating them. A. nigroaenea is perhaps best known as the unfortunate victim of a parasite - the cuckoo bee, Nomada goodeniana. 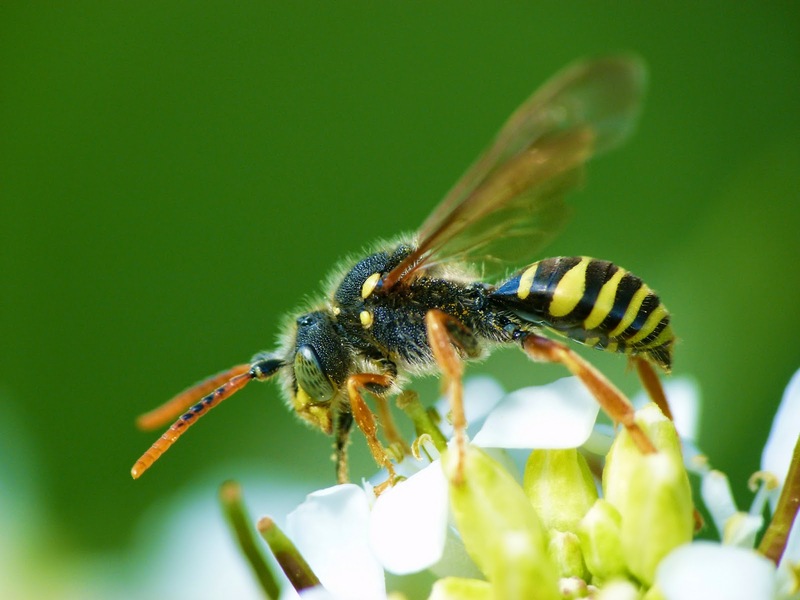 The cuckoo bee enters unguarded nests of A. nigroaenea and lays an egg in one of the brood cells. It either removes the original egg, or its own larva destroys it. Here is a small selection of some of the UK’s other miner bees. 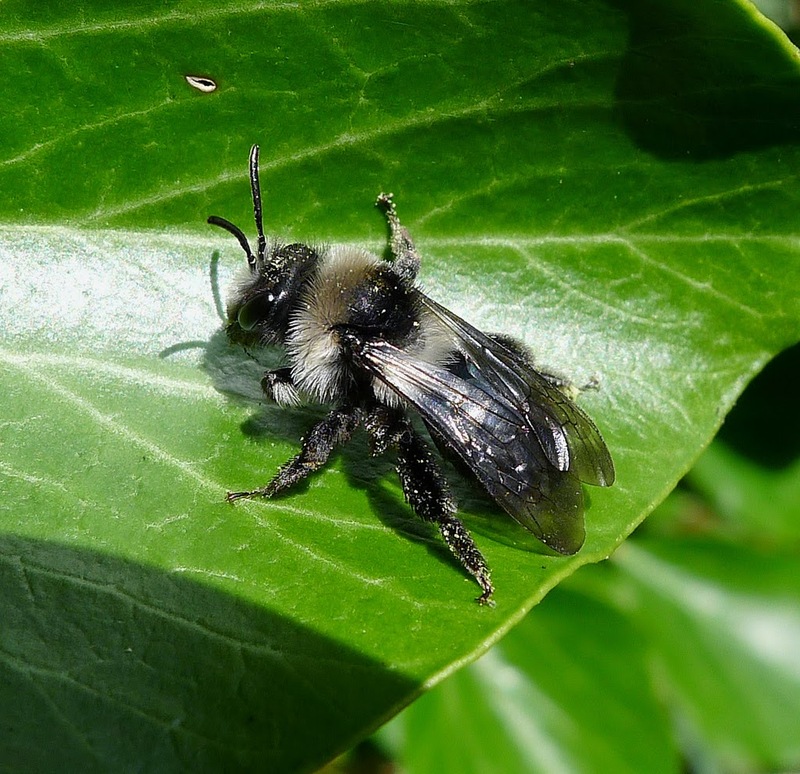 Ashy miner bees are fairly common throughout the UK, although less so in Scotland. They usually fly from April to June. They are very distinctive, being mostly black with two bands of white hair at the front and back of the thorax, and a tuft of white hair at the front of the head. 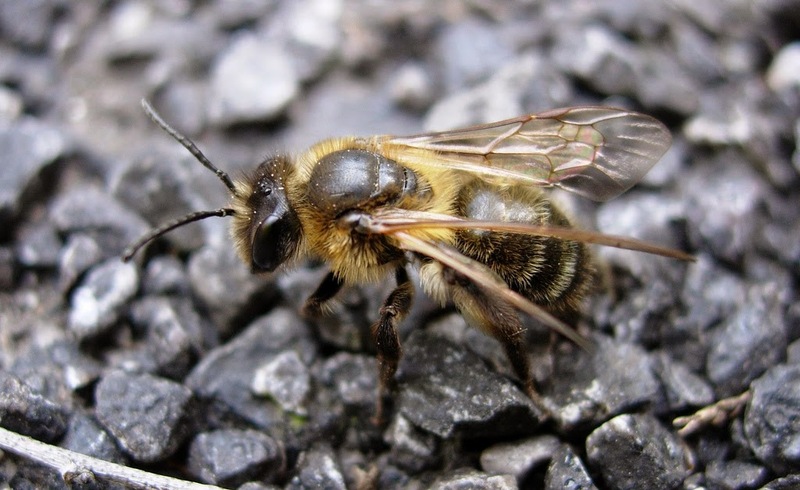 Then there's the 'early miner bee' A. haemorrhoa, which is one of the first miner bees to appears, between March and April. 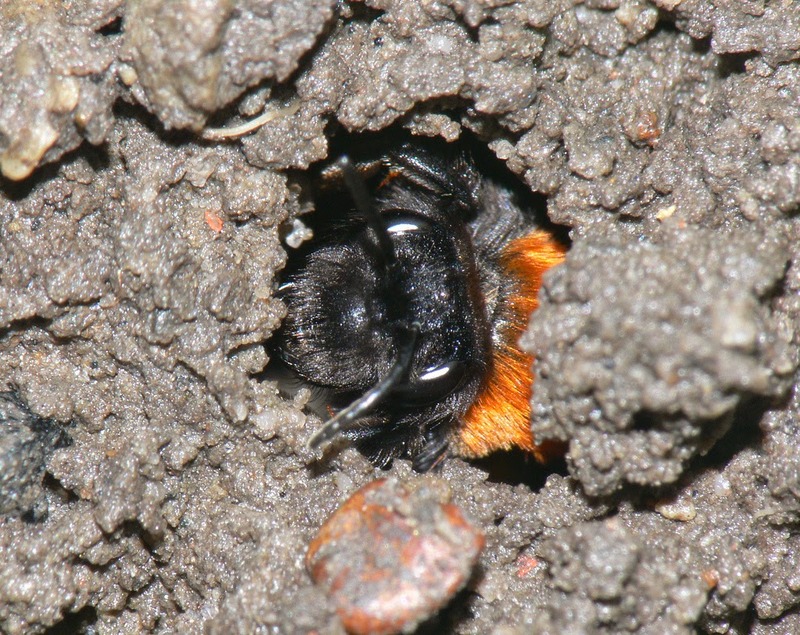 And here is A. carantonica, a miner bee which shares nest entrances so lives partially communally. Because the nest chambers of A. carantonica share an exit, fresh adults meet on the way out, mating immediately on emergence. It is relatively easy to stand on a tawny miner bee by accident because of their habit of nesting on the ground. But don’t worry, their 'sting' is extremely weak and unlikely to penetrate bare feet.